The egg that broke records and garnered significant global attention used its fame to promote mental health in one of the world’s biggest marketing campaigns to date. 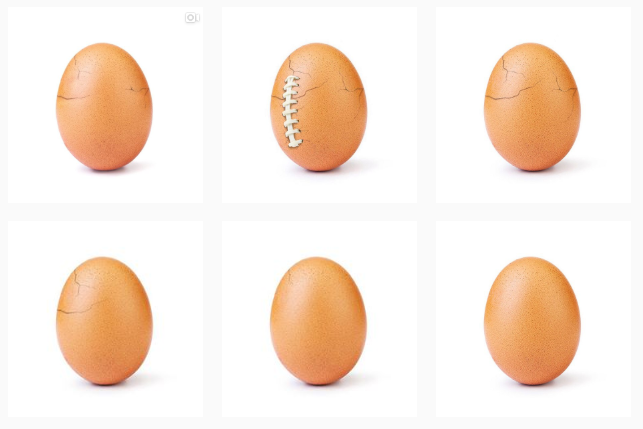 On January 5, the world_record_egg Instagram account published the “most liked post” to date by beating a picture of celebrity Kylie Jenner and her infant daughter with just a simple picture of an egg – it achieved this in just 10 days. Over the next few weeks, the egg began to crack, drawing global interest and media speculation over both the message and the price behind it. The short animation of the egg, dubbed Eugene, then directs viewers to its site where mental health institutions across the world have been listed. Australian viewers can access Sane, Beyondblue and Headspace through this platform. The rights to the final message was speculated to be worth as much as AUD $13.7 million. A staffer at Need to Impeach said he was approached with the idea of having US President Donald Trump jump out of the egg and do the chicken dance, with the words “Impeach Trump” overhead. This he passed on, citing it was “crazy”. The man behind the egg, Chris Godfrey, an advertising creative working in London, stayed anonymous until after the egg’s message. He and friends Alissa Khan-Whelan and C.J. Brown said it was it was a “dream” to have this opportunity. “People have fallen in love with this egg, and Eugene the egg wants to continue to spread positive messages,” Khan-Whelan told The New York Times.